The challenge at Fairy Fun Fridays Week 12 this week is to make an easel card. I chose Tippy Toe Fairy. 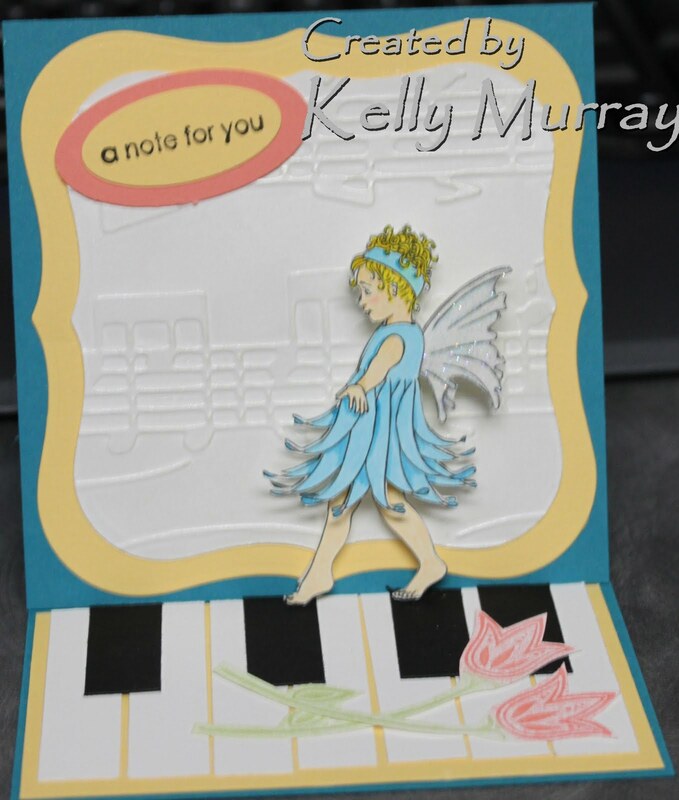 As soon as I saw her I knew I would make the card to look like a piano keyboard with the sheet music in the background. I used metallic rub ons on the Allegro EF to make it stand out more, add iridescent ice EP to her wings and popped her up for the dimension. Cute Card Thursday Challenge 105 was to use dimension so my little fairy works. This is deadly awesome Kelly! WOW! Ingenious! this is adorable....really is creatively ingenious! as roberta said! Another totally creative card, love it!!!! Shuddup! I was thinking "cool embossed musical notes" then scrolled down to see piano keys! You have got to be kidding me! Totally amazing! Your card is absolutely stunning!!! Brilliant idea! and so perfect! I love it!! !